My PC used to run Windows 7 Ultimate (but it wasn't Genuine). To prevent any potential future problems with Windows 10 from Windows 7 Ultimate not being Genuine, I reverted back to Windows 7 Home Premium which I had my product key laying around for. I did a clean install to make things feel fresh. I backed up all my personal files and stuff to a second partition I made on my 1 TB HDD. After the clean install I downloaded every update available from Windows Update (including the Microsoft updates). I didn't install any programs or drivers yet, except for my Ethernet driver (as well as any found by Windows Update) so I could download the Windows Updates and Activate Windows 7 Home Premium so it's Genuine. I figured having a more bare-bones OS would cause less compatibility issues with the Windows 10 upgrade. Then I reserved the Windows 10 upgrade in the Get Windows 10 app. After that, I tried nearly every trick in the book to upgrade to Windows 10 because I didn't want to wait really. The first thing I did was download the Media Creation Tool and used the "upgrade this PC now" option. Everything went without a hitch but then after the first reboot the installation hung at a black screen with a light blue Windows logo. I figured I just had to wait (even though I saw no light for my hard disk activity), so I dozed off. When I woke up, about 6 hours later... nothing happened. I tried testing my luck with another upgrade option instead. I used the Media Creation Tool to download the installation files to my 8 GB USB stick, which I formatted to FAT32 and made sure was empty. Running it from within Windows 7, everything went without a hitch again until the first boot... where I was stuck at the same screen again. In addition, I tried to see if I could boot from the USB stick and I could... but once again I was stuck at the blue windows logo. I then tried the convoluted "force Windows 10 upgrade via Windows Update" route. I went into the registry and navigated to the OSUpgrade key and made a DWORD (32-bit) value named AllowOSUpgrade set to the value of 1. The upgrade appeared in Windows Update and once again everything went without a hitch until the first reboot where I was stuck at the same blue windows logo screen yet again. All 3 times I had to force my PC to turn off. The 2 times using the Media Creation Tool I was presented with a window that said "Installation failed during SAFE_OS phase with an error during BOOT operation" upon logging back into Windows 7. The time I tried the Windows Update method I opened up Windows Update in the control panel after logging in and was presented with "Failed to install Windows 10" and the error code in the title, which matches the error code I got with the Media Creation Tool attempts. I would try the method of burning the ISO (downloaded via the Media Creation Tool) to a bootable disc, but the problem is I don't have a big enough disc to burn the installation files to. I don't know what the problem is, because I know for a fact my PC meets the requirements of Windows 10. The clock speed requirement is 1.0 GHz, while mine is 2.7 GHz. The RAM requirement is 2 GB for 64-bit OS (which I'm running), while the RAM amount I have is 6 GB. The hard disk space requirement is 20 GB for 64-bit OS, while the amount I have is currently 262 GB. I am also very certain that my graphics card qualifies, as Windows Experience Index rated it a 5.6. As for resolution, the requirement is 800x600, whereas I'm using 1400x900. So PC specs should have nothing to do with it. Additionally, each time I used one of the methods for the Windows 10 upgrade I deleted both the $Windows.~BT and $Windows.~WS folders, along with every single thing in C:\Windows\SoftwareDistribution\Download\ as many sources claim should be done before performing the upgrade. So those files shouldn't be an issue either. I really don't know what to do at this point. I'm thinking I may *have* to wait for my reserved upgrade or buy a CD that can hold 3.11 GB. I don't want to have to buy anything I don't have to though or waste time waiting, so I'm looking for a solution that would allow me to use one of these methods to upgrade to Windows 10 (and so I don't have to pay $119.00 if I don't have to ._.). I am sick of Windows 7 at this point, even though I've had some of my favorite memories with it. I really want to move onto the latest Windows OS if I'm able to. I can understand, how frustrating it can be, when things don’t work as expected. I'd be glad to help you. I suggest you to run the System update readiness command. It detects incorrect manifests, cabinets, or registry data, it may replace the incorrect data with corrected version available. Try to follow these steps, mentioned below. Click on the Command Prompt (Admin). Launch the Command Prompt with the administrator privileges. Hit Enter on the keyboard of your system. Exit from the command prompt and restart your computer. Disconnect the external devices, except keyboard and mouse. The issue could be due to some third party programs. I would suggest you to boot the computer into clean boot and install the updates. Clean boot will eliminate software conflicts that occur when you install a program or an update or when you run a program in Windows. You may also troubleshoot or determine what conflict is causing the problem by performing a clean boot. Note: Follow How to reset the computer to start as usual after troubleshooting with clean boot from article KB929135 to reset the computer to normal mode. After the Clean boot, try to install the Windows update. Please get back to us with the above information in order to assist you accordingly. Thanks for the timely reply, AntonyJose. The checkhealth option is not recognized in this context. After I did those 4 things, I ran the Windows 10 setup while logged into Windows 7. I did it from my USB using a clean boot, antivirus off, and everything unplugged like you said. The result was the same error (stuck at the blue windows logo) after the first reboot. 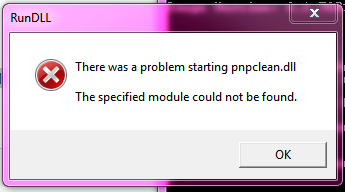 I feel like it has something to do with a problem at boot, and nothing in Windows 7. I was able to make a bootable USB stick just fine to install Windows 7, but for booting Windows 10 setup it just freezes at the blue windows logo when I do it. Also if there is any problem identified in the log file, let me know. EDIT: Well would ya look at what just appeared in Windows Update! No errors, I'm going to try the Windows Update method this time instead. Going to do it while in clean boot with AV off and everything unplugged. I know this is a double post, but it's kind of necessary. The System Update Readiness Tool reported no errors and I am still getting the blue windows logo screen of death. This time my method was through Windows Update incase my USB stick was faulty or whatever. I doubt it's the download either since I've ran the update method about 5 times by now and the same error persists. I still would like the MD5 checksum or SHA-1 hash of a correctly downloaded ISO though, it may come in handy. "I feel like it has something to do with a problem at boot, and nothing in Windows 7. I was able to make a bootable USB stick just fine to install Windows 7, but for booting Windows 10 setup it just freezes at the blue windows logo when I do it." My UEFI settings are set to default at the moment. My motherboard is an ASRock A75 Pro4-M if that helps. I'd like to know if I have any other options I can try besides burning the ISO to a disc I'll have to pay for or waiting for my reserved upgrade to come. I'm becoming stumped here really. I have a Windows 7 Home Premium genuine key. Currently, my computer is stalling at the initial valid-license check (should take 10seconds) with the message "working on it" and the spinning counter. Thankyou for above exposition of potential requirement/failures: i will check my system to see what is wrong. Could be driver-related - possibly a Broadcom WiFi issue. What network adapter do you have? I had the exact same problem and have the same motherboard. I solved it by installing the latest BIOS on AsRock's website (1.90), my BIOS version before the update was 1.80. Please note that I have not yet installed Windows 10 as I did the BIOS update late last night, but I was able to get to the first install window after the blue Window on black background in your original post. TL; DR; Update your BIOS. This post is about updating using media downloaded with the Media Creation tool and it may still take some time for the first screen on the install to come up. I had given up on the Windows 10 upgrade after unsuccessfully trying to upgrade at the beginning of August. During that time I used the Media Creation tool to download the Windows 10 ISO and burned it to DVD. Yesterday I decided to use the Media Creation tool to get a fresh copy of Windows 10 on USB in the hope Microsoft had fixed something and also to try a different media format, also if the install had failed I planned on disconnecting all non essential components and try again, these components included my CD. While waiting for the download I came across a post where someone reported a BIOS update fixed their problem, so I decided to try that as well (don't know why I didn't think of that sooner). I tried booting from the USB drive and seemed to get stuck on the same blue window screen, but after about 20 seconds of no apparent activity the install proceeded (please note that on my unsuccessful attempts I left the install overnight so I did seem to share your problem). Out of curiosity I tried the booting my DVD for the start of August. This time it took much longer (close to two minutes) for the first screen of the install to load. During this time the DVD drive access light flashed, but there was no on-screen progress indication of any kind. I have not tried installing using the normal windows update and probably wont as I plan to use this trick to do a clean install on a new drive.